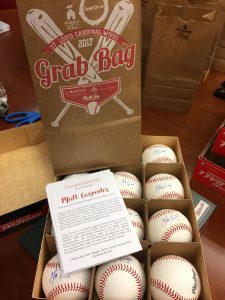 Snag a Cardinals Grab Bag! Home News Snag a Cardinals Grab Bag! Guess what Cardinals FANS!? 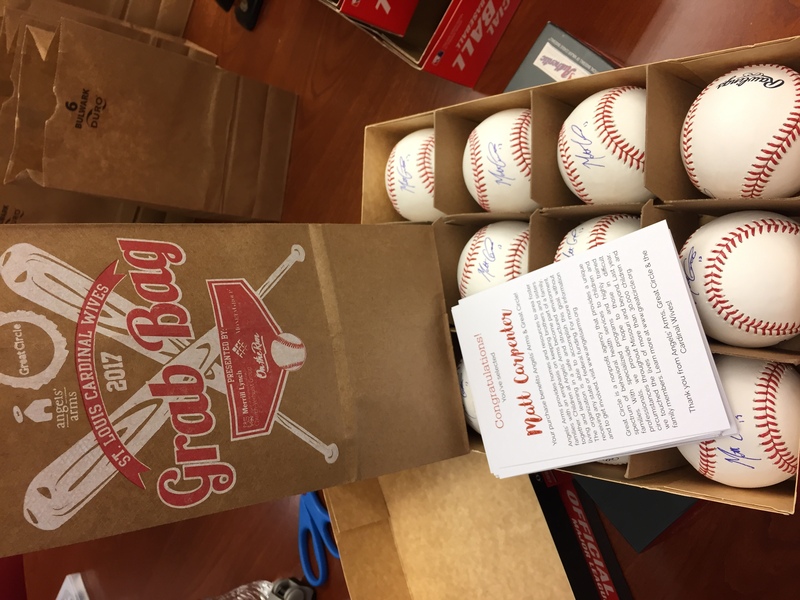 We have a VERY limited quantity of autographed baseballs remaining from the 2017 Cardinals Wives Grab Bag event. This is YOUR chance to take home a baseball signed by any one of the current baseball players on the 2017 Cardinals roster. Baseballs are $50/each and you never know who you’re gonna get! It could be Adam Wainwright, it could be Matt Carpenter…or any of the other players on the roster. 100% of your purchase will benefit Angels’ Arms. CLICK HERE to BUY a BASEBALL! 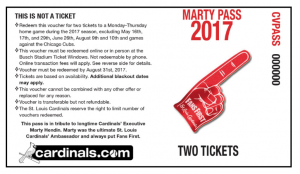 PLUS…as an added bonus, anyone who buys a baseball between June 6-June 15, 2017 will be entered to win a Cardinals *MARTY PASS which can be redeemed for 2 tickets to a Monday-Thursday home game during the 2017 season. FOUR (4) winners will be selecting LIVE via facebook on Friday, June 16 at 12PM CST. GOOD LUCK! 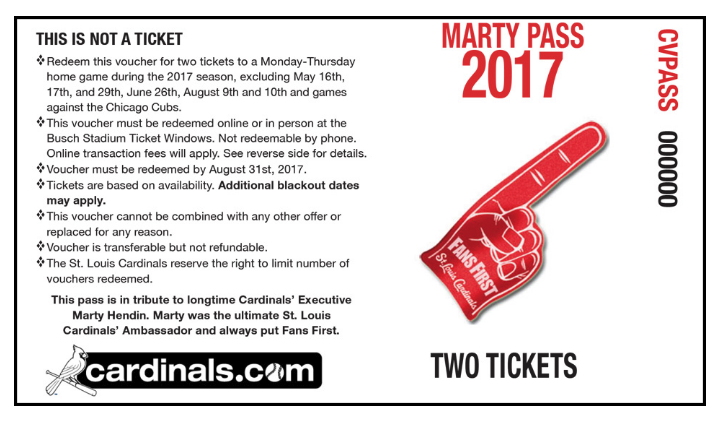 *MARTY PASS must be redeemed by August 31, 2017. Tickets based on availability. Other exclusions may apply.